Rehearsals are Monday nights 7:30PM – 9:30pm in Studio B, across from the Smith Center at Ohlone College. Registration for fall is now open! Please register ASAP. Spring 2019 rehearsals start Monday, January 14, 2019. No rehearsals on January 21 (MLK Day) or February 18 (President’s Day). 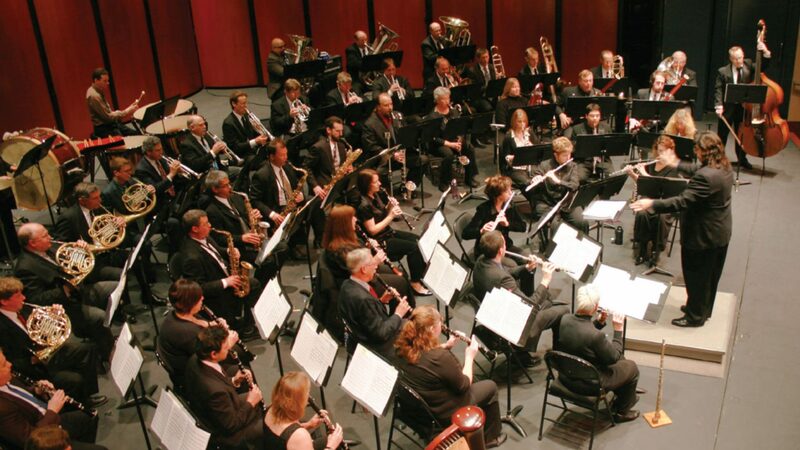 Dress rehearsals (the Monday prior to a performance) are required for all musicians. Option 1: Dark pants and dark sport coat (or dark suit), white dress shirt, long tie. Option 2: Black top, black pants or skirt, or black dress. Skirts and dresses should be below the knee. Black socks / nylons and black dress shoes, polished. Option 1: Black tuxedo (or, if you don’t have one, black suit with white dress shirt and bow tie). Option 2: Dressy black top, black pants or skirt, or black dress. Skirts and dresses should be below the knee. Option 1: Sport coat, dress shirt (any color), colorful tie, dark pants. Option 2: Colorful top with pants or skirt, or colorful dress. Skirts and dresses should be below the knee. Santa hats are fine, but no antlers or blinking lights, please. For the health of those who may have allergies or sensitivities, please refrain from wearing perfumes or colognes. Daily parking permits are $4 /day, available for purchase at electronic vending machines around campus. Semester parking permits ($40) can be purchased online (where it asks for student ID number, enter 0000000). Construction on campus continues to impact parking. The map to the right is current as of August 2018. 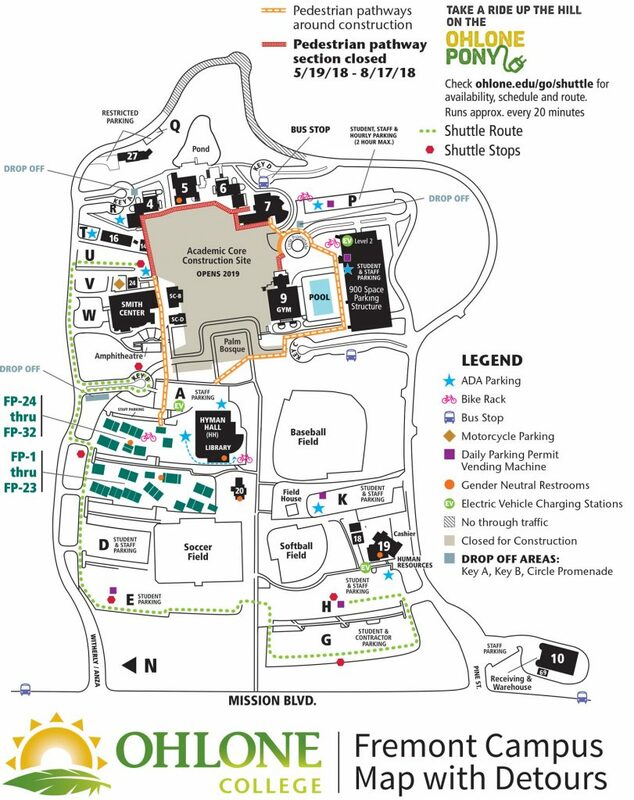 Check the Ohlone parking page for updates. Learn their parts during individual practice time so that we can focus rehearsal time on ensemble performance. Register with Ohlone College Community Education, which allows the Music Department to provide necessary support for the group. Attend each rehearsal, or to arrange for a qualified sub (in coordination with the section leader). Attend all dress rehearsals and performances for the semester. If you are logged into your Google account, click on the “+ Google Calendar” button above to add this calendar to yours. If you use iCal or Outlook, download the ICS file.